This car was brought in with a stretched timing chain fault. VAGtech set about making the engine good renewing all the timing chain components. At the same time the customer opted to do some tuning. Fitting a full Millteck exhaust system. Using the headers, downpipes from the MK5 R32 and marring them up to the A3 system, a full free flow system for the A3 3.2 is possible. 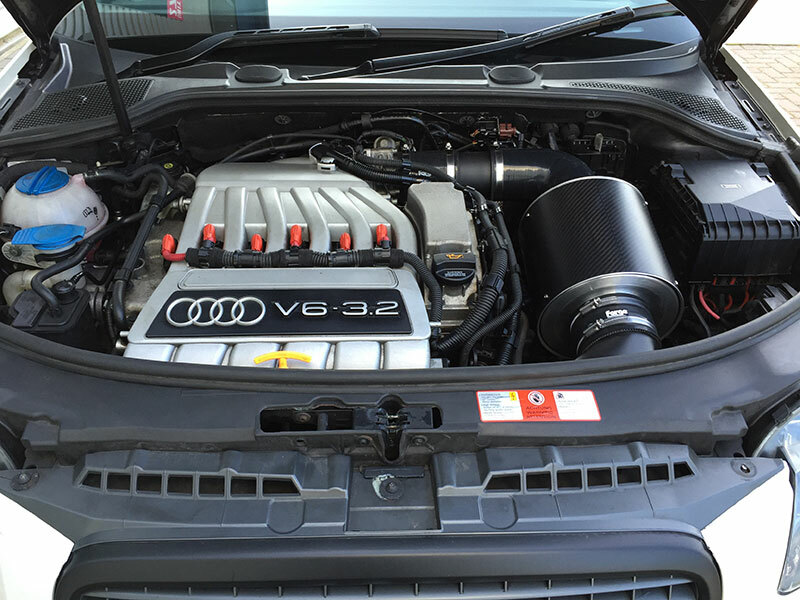 Add a Forge motorsport intake system and Revo stage 2 engine and DSG software and you have a very nice setup.